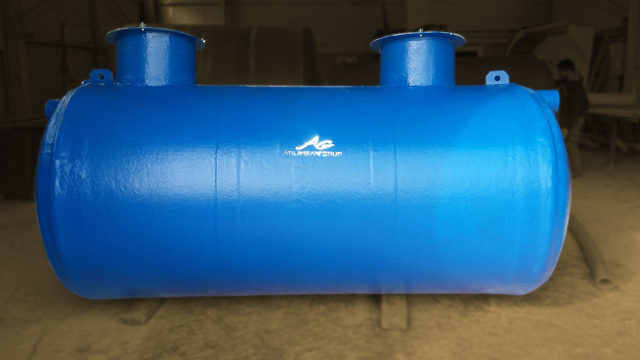 5m3 separator septic tank is produced for SSang Yong Company and it is delivered to facilities in Iraq.Separator septic tanks are separated liquid and solid waste from each other inside of it. So that you can use the liquid waste for garden watering or anything else. The costs of sewage truck will be decreased. 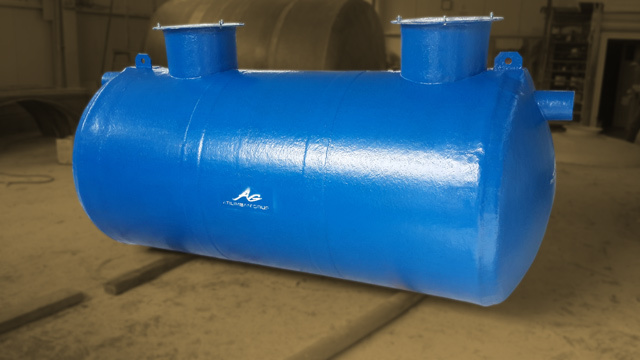 Tank strength is more than standart septic tanks. Tank will separate solid and liquid waste from each other. So that your sewage truck cost will be decreased. Also you can use the clean water for garden watering or anything else. Tank will be filled from this pipe. Pipe is PVC and its dimension can be changed. 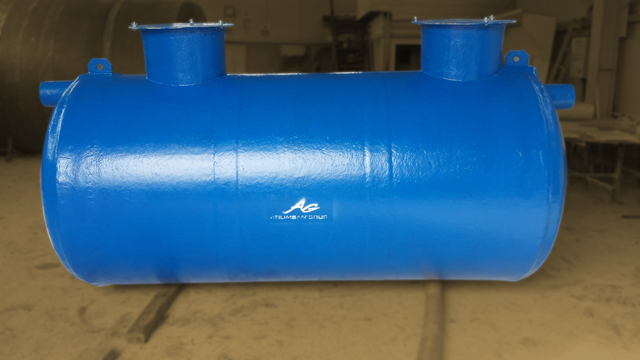 This separator is horizontal fiberglass plate. 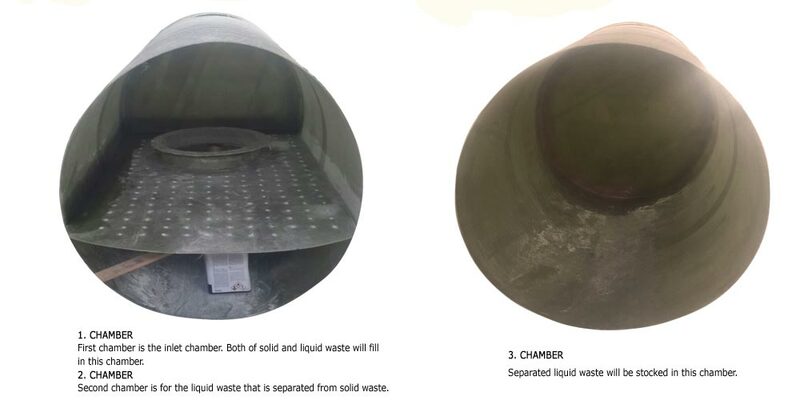 It has several holes on it that will not let to solid waste to fill in second chamber. Second separator is also fiberglass cylindrical plate. 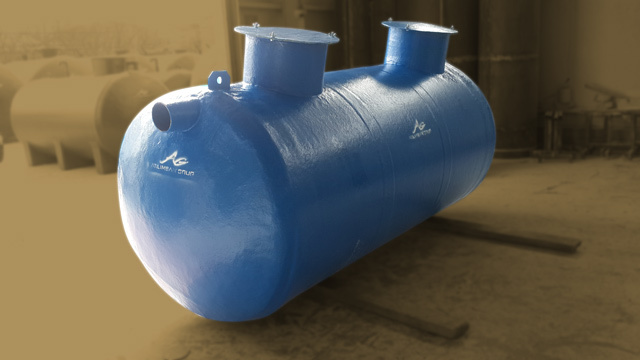 It has 2 filter pipe between second chamber and third chamber. There are 3 filter pipes inside of tank. Two of them are between second chamber and third chamber. One of filter pipe is using for outlet on third chamber. There are 2 lifters on body of tank. 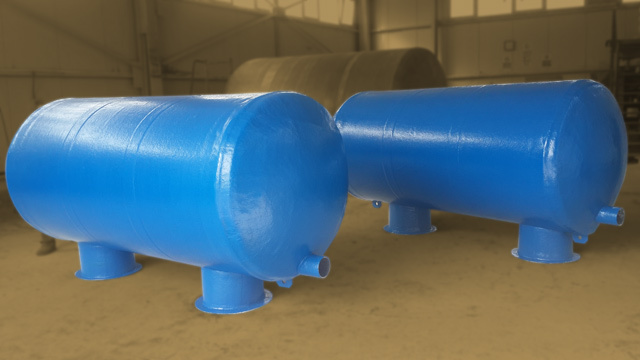 You can use these lifter to fix your tank to underground. There are 3 manholes on tank for each chamber. You can interfere to all chambers with the help of manholes. There are no legs at bottom side of tank. It is designed according to the Ssang Yong Co. project. Tank will be put on thin sand and will be fixed to ground with the help of lifters. Tank should be put on thin sand and fixed to ground. Be careful during of unloading tank from truck. Install your tank according to the instructions that is sent you. Be careful that there shouldn’t be any hard material inside of soil that you will pour over tank.